The Reading Workshop The Reading Workshop: What Tools are in Your Reading Toolbox? Mens should put an essential tools and equipments to their tool box. It Start with a pair of safety glasses or goggles, cause safety goggles or glasses should always be used when hammering, drilling and sawing . Then, a good quality of claw hammer. And also, mens outfit their self with a set of pliers. 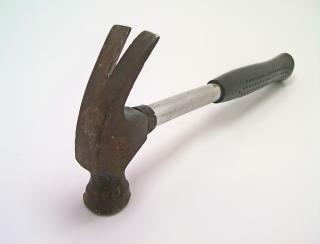 A hammer is a tool meant to deliver an impact to an object. The most common uses are for driving nails, fitting parts, forging metal and breaking up objects.